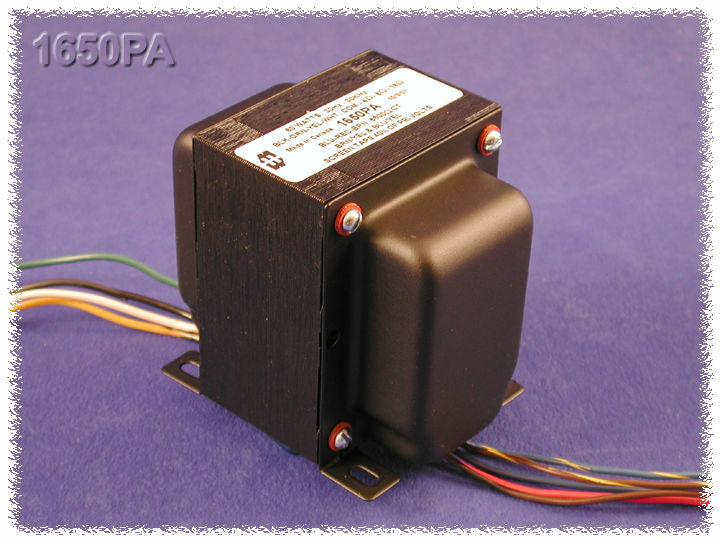 NEW & improved version of our 1608-1650 series multiple secondary output transformers (re-designed secondaries for easy hook-up of secondary loads). Units are designed to provide ample "headroom" at bass frequencies (note the weight of each transformer). Typical applications - Push-Pull: triode, Ultra-Linear pentode, pentode and tetrode connected audio output. The 1650G does NOT have primary screen taps and will not support "Ultra-Linear" applications. Notes: The above examples of possible combinations are to help you narrow down the choices of transformers for your favorite tube types. How you operate the tubes (push-pull, push-pull parallel, ultra-linear, class, B+, bias, operating points, etc.) will change optimum plate to plate load impedance. Only a few of the most popular tubes are shown. As more tubes become available we will add them to the list. A tube manual or tube manufacturer's technical data sheets should be consulted first, before making a decision on a proper output transformer.